Many animals are able to camouflage to protect themselves from predators. However, what was doing by the Hemeroplanes Triptolemus, one of the bee species probably the most amazing. 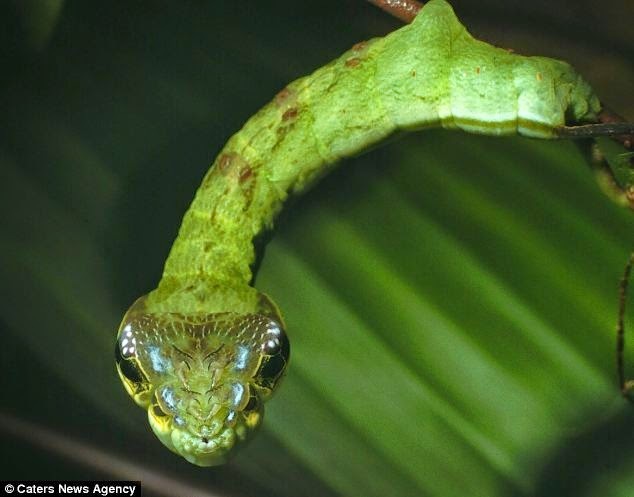 In the larval stage, or when it is a caterpillar, this insect that looks scary. 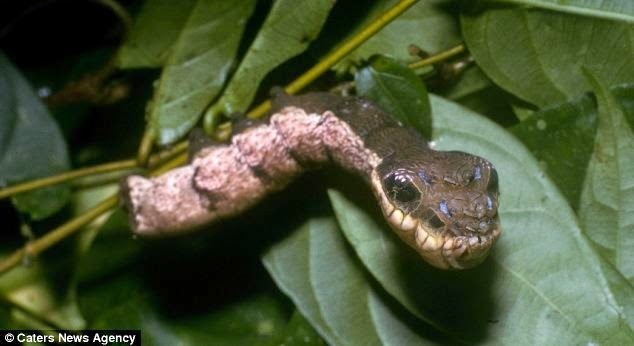 Its form did not resemble caterpillars in general, but like a vicious snake wrapped around a tree branch. Daniel Janzen, a biologist from the University of Pennsylvania, presents a frightening realization that in some photos. Janzen took the photos of the caterpillars in Area de Conservacion Guanacaste, Costa Rica, countries in Latin America's rich biodiversity is becoming a place where the caterpillars have a unique form. "For most normal people, caterpillar does look weird and scary, but they are just walking in the park," Janzen said as quoted by the Daily Mail on Wednesday, May 28, 2014. However, Janzen said, caterpillars in Costa Rica is different. 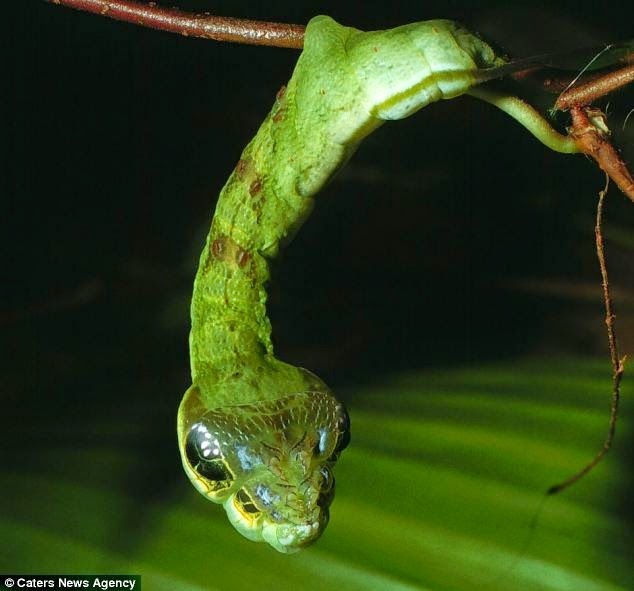 "Every caterpillars in Costa Rica looks like something else, whether the leaves, branches, or in this case, the snake," explained Janzen who has been researching caterpillars in Costa Rica since 1978 and has been to pursue insects for 50 years.